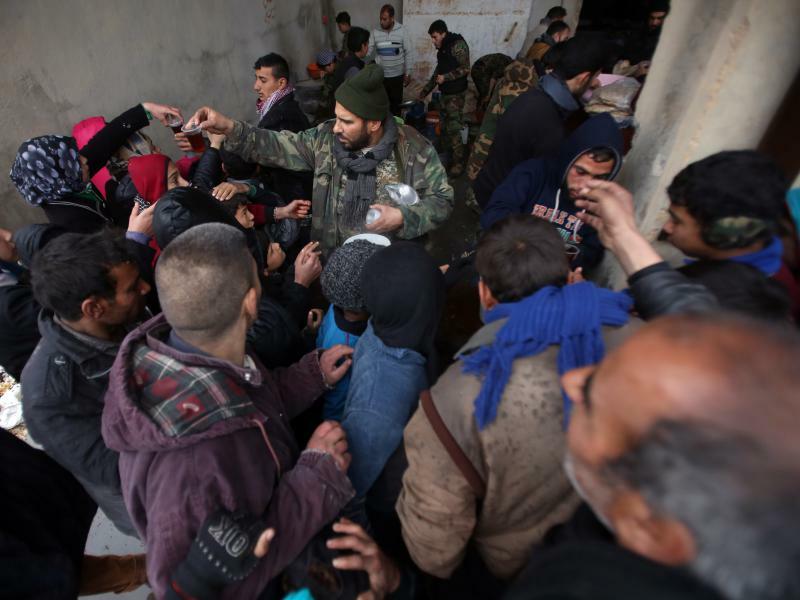 Landis: Anticipated Assad Victory In Aleppo Creates ‘Central Dilemma’ For U.S.
Russian and Syrian army soldiers gather at the last checkpoint before the front line with rebels, in Karam al-Tarab, east of Aleppo, Syria, Sunday, December 4. Syrian forces have now seized control of more than half of the territory in Aleppo once held by rebels who opposite President Bashar al-Assad, and supporters of the Assad regime expect victory in the country’s largest city. It’s a crushing blow to the opposition, and could trigger a domino effect as rebels retreat to more rural areas of Syria. Landis said as the Assad regime gathers strength, people who had been on the fence about supporting either the Syrian government or the opposition will align with whoever they perceive to be the likely winner of the Syrian civil war. It’s also complicated by President-elect Donald Trump, who takes office a little more than a month from now. Landis says Trump tampered expectations of democracy promotion during his campaign – which runs counter to more than a decade of American foreign policy under presidents Bush and Obama. Trump has also prioritized fighting self-proclaimed Islamic State militants, and surrounded himself with anti-Iran generals. In the northern Syrian city of Aleppo, tens of thousands of people have fled a brutal, Russian-backed regime offensive against rebel-held parts of the city. Many have fled deeper into the tightening siege, which started over the summer. Others have sought safety on the government-held side. My conversation with a woman who recently fled the siege begins with her asking how I am. She's safe now, but is still afraid to give her name. She fears for her son — still fighting with the rebels — and for other male relatives who've been detained by the regime for questioning. 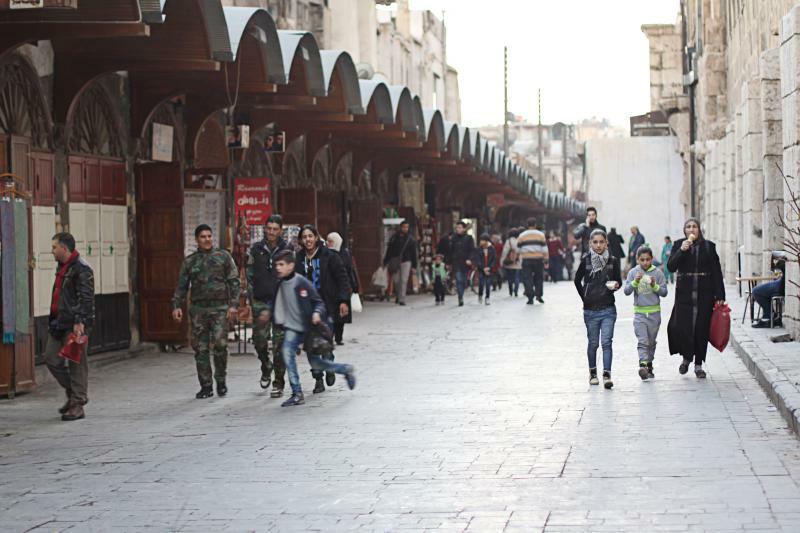 In central Damascus, it's perfectly clear that President Bashar Assad is firmly in control. In the souks of the Old City, his face looks out of almost every shop window, pinned up next to gold jewelry or intricate rugs. No one has a bad word to say about him, at least not to a Western journalist. In rebel enclaves nearby, forces loyal to Assad are creeping back into control. After years of siege tactics, opposition forces in the suburbs of Damascus are increasingly making deals that see their fighters heading into rebel-held areas. Russia rapidly moved to the front of the world stage when President Vladimir Putin returned to power in 2012, setting off an adversarial relationship with the West not seen since Cold War tensions thawed in the 1980s. The country’s ascendancy includes the 2014 invasion of Ukraine’s Crimea region, and a greater role in Syria on the side of the regime of Bashar al-Assad. Syria is fighting rebels opposed to Assad’s minority Alawite-led government as well as Islamic State, or ISIS, militants bent on establishing a caliphate in the Middle East.